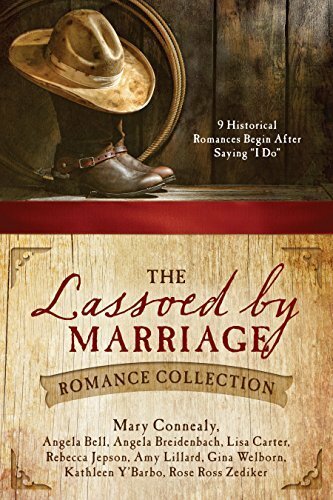 Join Rose Ross Zediker and Angela Bell (Author), Angela Breidenbach (Author), Lisa Carter (Author), Mary Connealy (Author), Rebecca Jepson (Author), Amy Lillard (Author), Gina Welborn (Author), Kathleen Y'Barbo (Author), in the Lassoed by Marriage Romance Collection: 9 Historical Romances Begin After Saying "I Do". 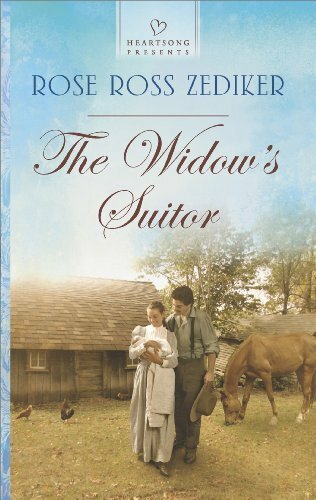 The young widow is just trying to make a life on the prairie for herself and her newborn son. 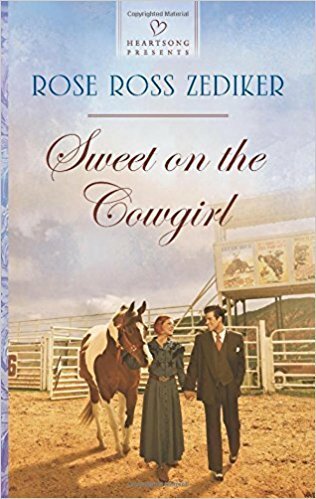 When handsome newcomer Luke Dow shows up at her cabin door, she soon relies on the man's help with her homestead…and dares to dream of the future. Luke came to the small South Dakota town to build a hotel and make his fortune. But he never expected to care for anyone, let alone the beautiful Cora and her baby boy. When Cora's land claim is challenged by a neighbor, Luke will do all he can to protect her and her home—and claim her heart. When she traded small-town life for the bright lights of Chicago, Jennifer Edwards yearned to discover a world beyond Faith, South Dakota. So when her father's illness calls her home to run their cattle ranch, she tells herself it's temporary. Then why is she even thinking about a future with archaeology professor Brett Lange—the boy she left behind—whose life's work is digging up the past? Twelve years ago, Brett had a crush on Jennifer the size of the T. rex that put his hometown on the map. Now she's a citified magazine editor who prefers designer duds to dungarees. Except that's not the real Jennifer. Brett needs to make her see how a little faith can go a long way in uniting two perfectly in-sync hearts. 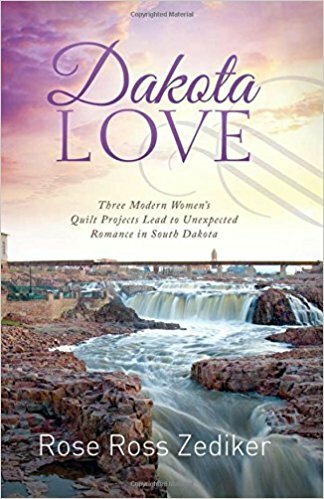 Modern South Dakota individuals use quilting to bring them joy and comfort, but suddenly quilting is leading them to romances they didn’t even know they wanted. 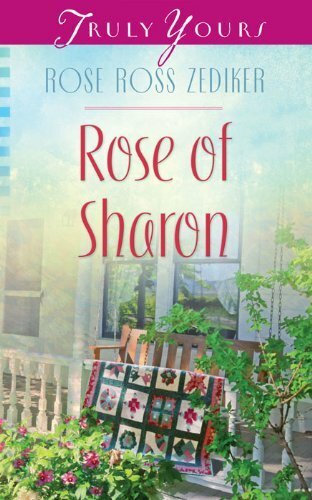 Caroline and Rodney have each been loaded with many worries, but a tattered quilt could bring them together to share their burdens. Sarah and Mark embrace their independence until a quilting class throws them together and reveals their need for companionship. Lil is outgoing where Walt is private, but as they use quilting for physical therapy, an old secret could be revealed that will expose just how different they really are. Twenty years ago, a horrible accident nearly destroyed her family's business. And everyone still blames her former fiancé, Jamie Martin. Donna's managed to thrive, despite life's many curveballs. 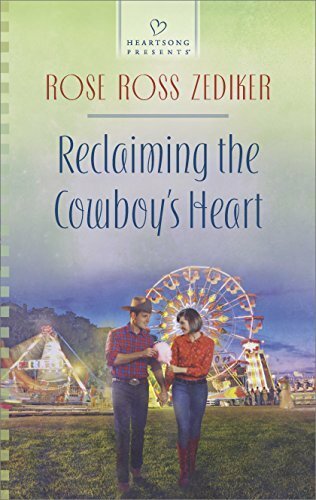 But when Jamie crosses her path at Cheyenne Frontier Days, Donna isn't prepared for the feelings that still endure after all these years. Party boy Jamie is a changed man in every way—except for the love he still harbors for the only woman who made him whole. Jamie's newfound faith could pave the way for a second chance at his first love…if Donna can find it in her heart to forgive. Laura Barnes Wants to Be a Cowgirl. Laura has always dreamed of being a trick rider in her family's Wild West show. But her father will only allow her to perform if she disguises herself as Mr. Buckskin Jones. When soda-pop king Guy Roberts shows up to do business with her family, Laura is torn between keeping her identity under wraps and revealing her growing feelings for Guy. Guy is drawn to Laura's poise and beauty, but he, too, guards a secret. As their affection for each other grows, Guy begins to think about a future that includes Laura. When both their secrets suddenly come to light, their romance will face the ultimate showdown. Caroline is a worrier. . . Her husband died and left her with little money or survival skills. Her son thinks the choices she's made since then are foolish. And every time an opportunity looks good, something makes her second guess herself. Rodney has always thought life was good-until a heart attack laid him out flat. Retired now from his executive lifestyle, he begins to realize he wasn't much more than a workaholic. Marriage isn't on either of their minds...but their minds are not God's, and He is busy taking care of the lilies of the field-and His children. Lil’s not what Walt expected. Lil Hayes isn’t what Walt Sanders had in mind for his home care nurse. Spunky and outspoken, Lil is a formidable match for Vietnam vet Walt as he recovers from hip surgery. It’s clear Lil won’t back down when it comes to Walt’s care. . .and won’t keep from butting into his privacy and offering help where none is needed. But Lil knows all that would be nothing if Walt knew the truth about her. As a young woman, Lil participated in antiwar rallies—protesting against soldiers just like Walt. Even though Lil lives with regrets, she wonders if she’s capable of handling Walt’s case professionally as she grows to love him—afraid the truth will cause Walt to reject her like another soldier from her past. The two work through Walt’s recovery and begin to assemble a quilt block together to pass the time, but can two opposing souls find peace—and love—together? Since being diagnosed with multiple sclerosis, Sarah Buckley is in denial and determined to prove the pessimists wrong. Her life changes—including a new career and a new hobby—cause her mom and best friend to voice concerns that she’s overdoing. To Sarah, though, overdoing is good sent from God. As a Sanders man, Mark Sanders is better off not committing. . . and so are the women he dates. After all, his father abandoned his mother when she was diagnosed with MS, and Mark fears he’ll follow in his father’s footsteps. That is, until Sarah Buckley signs up for a quilt class at Mark’s shop and his fear of commitment turns to fear of losing out on love. Can Sarah and Mark see past the beliefs that blind them and embrace the true good God has placed in their lives? 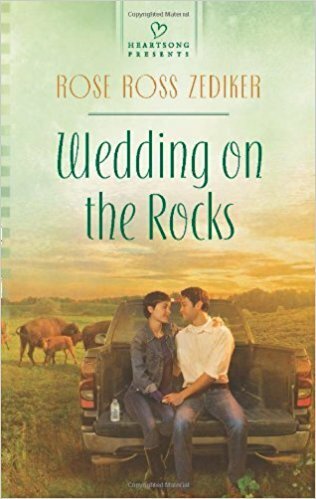 Multi-published author and RITA finalist, Rose Ross Zediker, writes contemporary and historical inspirational romances and has hundreds of publishing credits in the Christian magazine genre for children and adults. 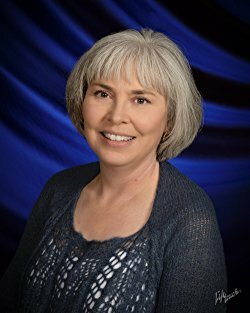 Her titles have appeared on ECPA bestseller lists and been finalists for the RITA, National Reader’s Choice, Booksellers Best and Book Buyers Best award contests. Rose is a member of the American Christian Fiction Writers and Romance Writers of America. ​The author had me hooked in the first few pages....and hated to have it end! But later I was so excited to find out this was the first book in a trilogy! 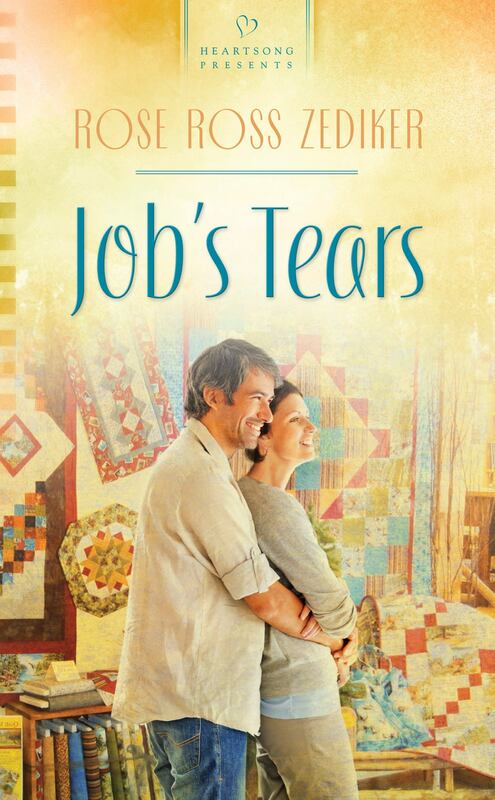 If you enjoyed this one Job's a Tears, followed by Rose of Sharon..must be on your reading list! No matter what is going on in our lives God is always there with us! These books show several examples of this! Ms. Zediker starts you off on the ultimate high, but effortless keeps you there all the way to the end. This book shows love can occur in 'mature couples'. Widowed Caroline is struggling to make ends meet by starting a quilting business. Rodney meets her through the business and helps her with the technology. Secrets come back to bite them. 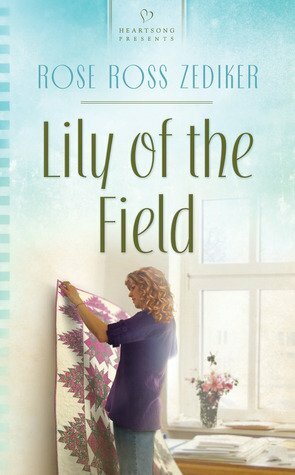 Caroline has to learn that God can take care of her just like He does the lilies in the field. Some things are fairly good. I am a quilter and I found most of the quilting business parts to not be glaringly wrong. Even with my knowledge, it wasn't enough to decrease my enjoyment of the book. A few things didn't seem to ring totally true for occurring in South Dakota. However, it wasn't enough to stop me from recommending the book. ​​​​The book was quite the twist after reading the title! What a wonderful surprise. From the first chapter, I was drawn into it! The love connection was slow, but finally the impossible happened! It only took me a few days to read this! This author writes so as to draw you right into the story! ​These three stories are all centered around quilts and love. The first story centers around a quilt that needs restored and the story around the quilt. It also showcases Caroline and Rodney as they meet and grow close. The second story revolves around Sarah and Mark and their relationship with MS. He has dealt with MS with his mother and Sarah has been diagnosed with it. The third story centers around Walt, who has had his hip replaced and his nurse Lil. He is a Vietnam vet and she was a protester of the Vietnam war and the soldiers who came home from it. Love this storyline which kept me wondering how it would end. What is so unique about reading this book was that I had a quilt made by my Mother that needed to be repaired much in the same way as in the story? The book has inspired me to tackle the job of restoration which I will begin within the next few days. It was suspenseful from beginning until end! I've never read romance novels and I'm glad I started with this writer. I couldn't read fast enough to find out what was going to happen. 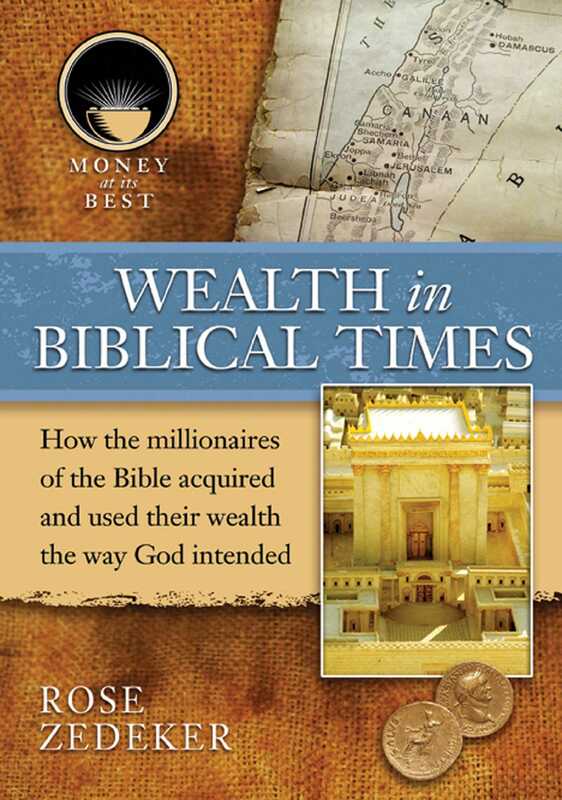 I was amazed at the vocabulary and obvious research into the time period, and I can easily see this as a movie. I'll be buying more of this talented writer's collection. ​​​​The descriptive writing made me feel like I was right there! I could feel the heat along with the smell of the fairgrounds, the excitement of the crowds!! The buding new love was in the air!! Very good reading, it kept you in suspense until the end.